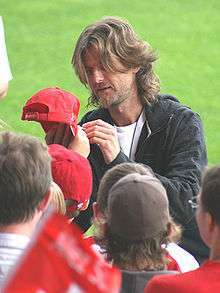 Alain Sutter (born 22 January 1968 in Bern) was one of the most successful Swiss football players during the 1990s. Sutter began his career in 1985 with Grasshoppers Zurich, one of Switzerland's most storied clubs. After spending the 1987–88 season on loan to Young Boys Bern, he was ready to take his place in the Grasshoppers first team, where he remained until the 1993–94 season, when he decided to move to Germany to play with Nürnberg. After Sutter's impressive performances during the 1994 FIFA World Cup, Germany's most successful club, Bayern Munich, quickly signed the midfielder where he played for one season, before moving again this time to Freiburg. In 1997 he transferred to Major League Soccer in the United States, where he signed for the Dallas Burn (now FC Dallas). He played one season in Dallas but his tenure there was cut short when, during training in early 1998, he stepped awkwardly in a hole of the practice field (the Burn was using the facilities of a high school at that time) and the injury forced him to retire. He ended his career with 68 caps and five goals for the Swiss national team. Currently he works as an expert commentary when Swiss TV shows important matches. Sutter was the main force behind a controversy in 1995. 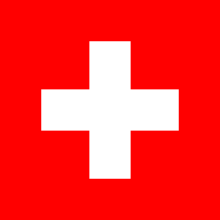 Before an important match for the Swiss team, he unfolded a banner to protest against France testing the atom bomb. He is also known for spending much of his spare time protesting against continued logging in the Amazon basin. ↑ "Alain Sutter". worldfootball.net. Retrieved 26 November 2012. ↑ "Wie kann ein Mensch solch eine Zerstörung anrichten?" (in German). Spiegel Online. 22 September 2010. Retrieved 26 November 2012.